This year, World MS Day will be held on Wednesday 31 May, 2017 and MS organizations across the globe have already started planning events for World MS Day. The Society for Multiple Sclerosis Patients in Pakistan also participated in an MS Awareness Seminar which was organized by PSN (Pakistan Society of Neurology) on Thursday 13 April, 2017 at Faletti’s Hotel, Lahore. 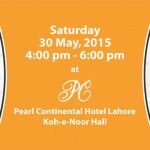 Get details about the MS Awareness Seminar on our blog. 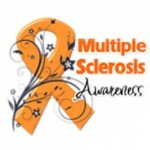 World MS Day is officially marked on the last Wednesday of May every year. Awareness events and campaigns take place throughout the month of May across the globe. These awareness events and campaigns bring the global MS community together to share their stories, personal experiences, with other patients and the public in general and to raise awareness and campaign with and for everyone affected by multiple sclerosis. The very first World MS Day was initiated by the members of the Multiple Sclerosis International Federation (MSIF) in 2009. Over the years, hundreds and thousands of people around the world have joined hands to show their support in the fight against MS. Every year, the World MS Day campaign focuses on a different theme. The theme for 2017 will be “Life with MS,” and the announced date is Wednesday 31 May, 2017.